Berwick Automotive Specialists provide the best quality repairs and replacement parts for a wide range of vehicle types. Our parts are all Bosch approved, which means you know you are getting superior units from the world-leading producer of automotive parts. Our workshop is able to identify brake issues easily and with low cost and will get you back on the road sooner! It’s important to regularly check the brake and clutch in your car as these are perhaps two of the most important components. 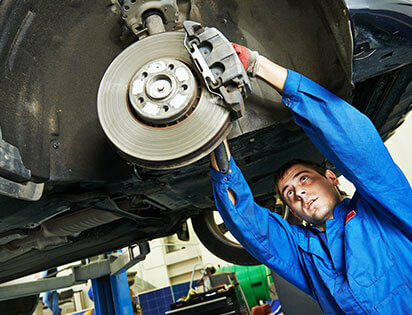 Good regular brake service is what stands between you and an accident, so make sure you visit us regularly.